Paul Keegan (47) attempted to swallow drugs as police closed in on him. 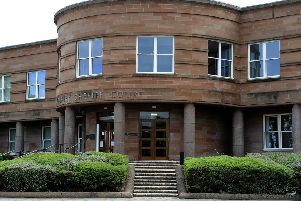 Keegan, 52 Ewing Avenue, Falkirk, admitted obstructing and struggling with police officers and possessing of £200 worth of heroin in Glebe Street, Falkirk on August 22 last year. When officers searched Keegan after he had been handcuffed on the ground following a violent struggle which saw him lashing out with his arms, they discovered two wraps containing two grams of the class A drug. Keegan was placed on a supervised community payback order for three years and told to attend for drug treatment and alcohol counselling. He was also ordered to complete 100 hours unpaid work within six months.